The Democrat raised more than $900,000 in the last three weeks, while Republican opponent Shawn Moody brought in just over $340,000. Maine’s close gubernatorial race has candidates and political action committees drawing in megadonors and pouring money into campaign advertising in the final weeks before the election, according to reports filed Friday with the state ethics commission. 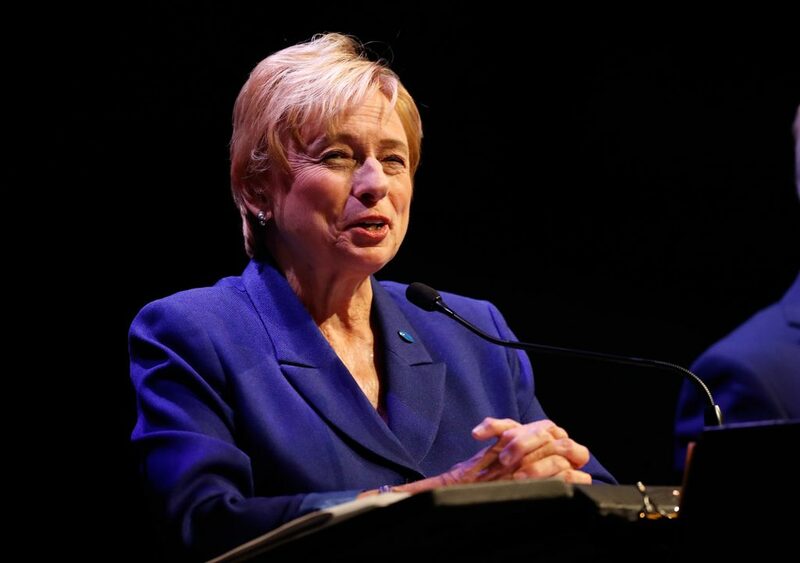 Democratic gubernatorial candidate Janet Mills continued to dominate the campaign fundraising, raising more than $900,000 in contributions in a three-week period this month, far outpacing the $341,737 raised by Republican Shawn Moody in the same period, according to the latest campaign finance reports filed Friday night. Mills has raised a total of $2.8 million for the race, to Moody’s $1.7 million. After their most recent expenditures, both candidates have about $200,000 in cash on hand as they head into the campaign’s final two-week stretch. Mills, Maine’s attorney general, and Moody, the owner of a chain of auto body shops, are leading the four-way race – with independent candidates Terry Hayes and Alan Caron – to replace Gov. Paul LePage, who is termed out of office. All the candidates filed campaign finance reports Friday detailing how much money they raised and spent between Oct. 1 and Oct. 23. Some of the biggest money in the race has come from outside groups, and Friday the Maine Conservation Voters Action Fund reported spending more than $1.2 million in ads opposing Moody, and about $150,000 in ads supporting Mills, in the reporting period. The group reported getting a $325,000 cash contribution from the national Conservation Voters and has raised a total of $1.6 million. The candidates themselves have run low-key campaigns, leaving it to outside interests to launch pointed ad campaigns. On the ground, there have been no rallies with big-name national political figures, few polls, no headline-grabbing mudslinging and only a handful of relatively tame debates or forums to date. Outside groups and parties already have spent or committed nearly $7 million to the governor’s race, not including the millions spent by the four candidates themselves. Millions more will be spent on legislative races in an election that will decide which party – or parties – will control the House and Senate when the next governor takes office in January. State Treasurer Hayes – the only candidate for governor who is using Maine’s public campaign finance system – reported another $175,000 in public funds for this period, for a total of $1.3 million in Clean Election funding for the race. Caron reported raising a modest $2,210 in the reporting period, and spending $20,661, leaving him with $182,878 cash on hand.